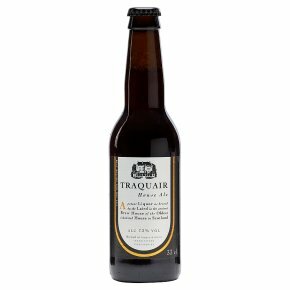 Brewed at Traquair House.Brewed in the tiny ancient brewhouse of Scotland's Oldest Inhabited House. Fermented in old oak turns spring water and finest quality ingredients. Drink at room temperature. A superb aperitif or excellent with game, beef or a strong cheese.